The Paris region is full of cultural places to visit with family or to go on a night out with friends and Seine-Saint-Denis has also got plenty of culturally rich and diverse places to visit also : museums, guided tours, free tours… there is no shortage of cultural things to do! 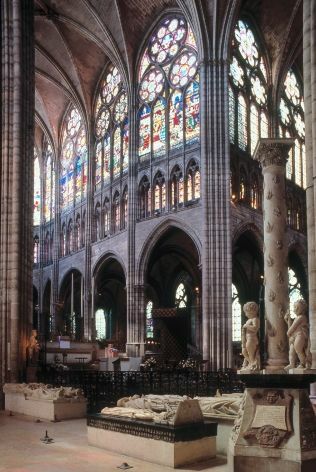 Several places dedicated to culture can be visited all year long covering many themes : film, fashion, architecture, design, contemporary art… We offer guided historical and cultural tours such as the Basilica of Saint Denis. We also offer guided tours during temporary exhibitions. Seine-Saint-Denis is the most cosmopolitan department in Île-de-France. We propose urban cultural tours to discover India, Mali, Magreb, Croatia, etc. A cultural visit to roam through these countries just a few steps from Paris. Seine-Saint-Denis and street art culture are an indivisible whole. Dance and Hip-Hop music, street-art, slam... Le "9-3" has its own poetry on the streets. We propose walking tours to discover urban art and slam narrated by the actors of these artistic scenes. We propose visits and tours to discover the cultural highlights in the Northeast of Paris, their secrets and their "behind the scenes". Discover our list of cultural venues and performances or guided visits of sites closed to the public, treat yourself to a VIP visit.